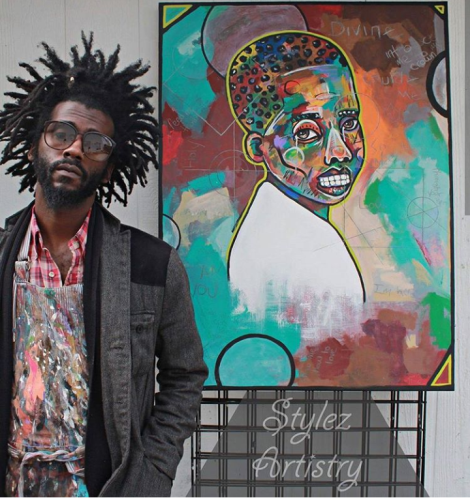 The City of Lee’s Summit is hosting an art exhibition in the lobby of City Hall featuring the works of regional artist Warren ‘Stylez’ Harvey from Jan. 14 through March 1. Harvey took an interest in the arts at a very young age while attending school in Lee’s Summit. He is a self-taught visual artist. His talents also include photography, dance, poetry and inspirational speaking. Harvey’s artwork has been displayed at various galleries and events throughout the Kansas City area. Harvey’s work will be on public display at City Hall during normal business hours, 8 a.m. to 5 p.m. Monday through Friday.